Eulalia of Mérida is Spain's best-known virgin martyr but the Acta of her life are probably not reliable. 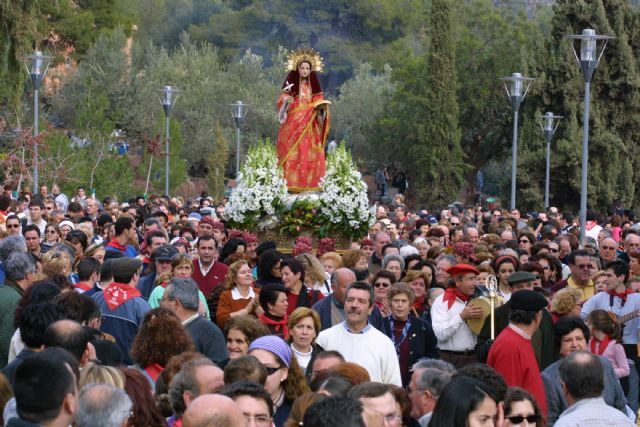 St Eulalia of Mérida is the best-known virgin martyr of Spain. She is praised by the Christian poets Prudentius and St Venantius Fortunatus. However, the 7th century Acta of her life are probably not reliable. Patrick Duffy tells what is known about her. Two Christian poets Prudentius (348-413), a Spaniard, and St Venantius Fortunatus (535-605), who lived at Poitiers, France, have written poems about Eulalia. She is also the subject of a sermon by St Augustine and is mentioned in the Calendar of Carthage and Martyrology of Jerome. Prudentius’s account presents her as a consecrated virgin of noble family, who despised frivolity and luxury and showed austerity and strictness worthy of an older person. hic, manuum quia facta colit. He, for he worships things made by hands). She was then stripped by the soldiers, tortured with hooks and torches, and burnt at the stake, suffocating from smoke inhalation. She taunted her torturers all the while, and as she died a dove flew out of her mouth. 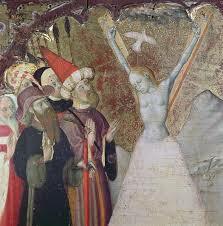 This frightened away the soldiers and allowed a miraculous snow to cover her nakedness, its whiteness indicating her sainthood. A shrine over her tomb was soon erected. Veneration of Eulalia was already popular with Christians by AD 350; relics from her were distributed through Iberia. Bishop Fidelis of Merida rebuilt a basilica in her honour around 560 AD. Her shrine was the most popular in Visigothic Spain. In 780 her body was transferred to Oviedo by King Silo. It lies in a coffin of Arab silver donated by Afonso VI in 1075. 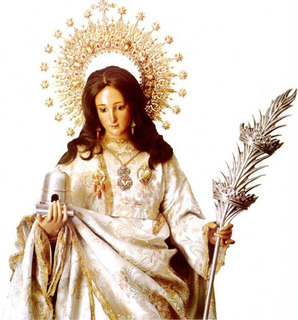 In 1639, she was made patron saint of Oviedo.